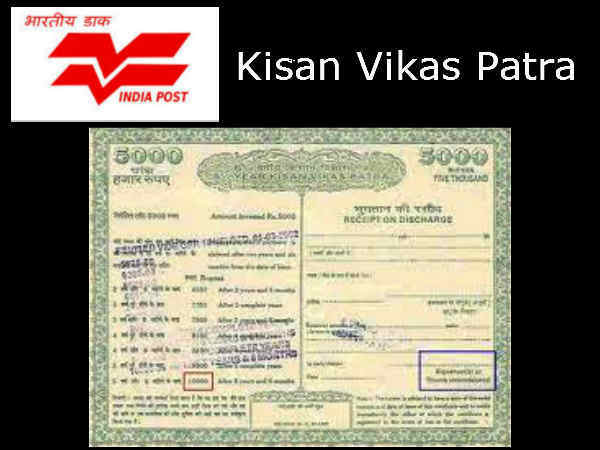 In 1998, India Post introduced a new savings certificate scheme called Kisan Vikas Patra. It was closed in 2011 but brought back by the Indian government in 2014. Today the Kisan Vikas Patra scheme continues to be important to many all around the country. This is a type of certificate scheme where a person can purchase a savings certificate for one’s use and to earn interest on it over time. This may also be provided to a minor. This is to help with getting the minor to have money for a variety of future purposes. This all comes with one of many interest rates depending on the type of certificate that is taken and how long it will take for it to fully mature. The scheme is offered by the government and ensures that people will get proper returns. All returns are guaranteed under the program provided that the user holds the certificate for the appropriate designated time. All Departmental post offices in India sell certificates under the scheme. People can visit the India Post website to learn more about where to go to find these certificates. Various banks around the country have also been authorized to sell these certificates although the options will vary based on where one goes. A single holder certificate is designed for use by one person. This will be either an adult for him or herself or to a minor. It may also be issued on behalf of that minor. A Joint A certificate is for two adults who apply through a joint account. The certificate will pay off to the two or to the survivor if one dies before it matures. A Joint B certificate is also issued to two adults in a joint account. This is payable to one of the people based on the designation that is reserved in the certificate. The interest rate for a Kisan Vikas Patra certificate will vary based on the amount of time that the certificate is to be held for. The interest averages at around 7.8 percent for the life of the certificate although that total value will change. Based on how the interest works, the value of the certificate should double after about eight and half years. This is a reward for those who secure their money for a longer period of time. The interest rate will remain consistent throughout the life of the investment. It will not be impacted by inflation or any other issues. This is to ensure that the growth of the value of the certificate will be confirmed. The rate is also guaranteed so a person will earn money off of the investment. The risk involved with this is practically eliminated as there is no real chance for a person to lose money off of the scheme. How Much Can a Certificate Be Worth? A certificate can be ordered in one of many denominations. It goes for as little as Rs. 1,000 to as much as Rs. 50,000. The person or people buying the certificate can choose to get as many certificates in different denominations as desired. A minimum deposit of Rs. 1,000 is required. After this, a person can choose denominations of Rs. 5,000, 10,000 or 50,000. Again, there are no limits to how much a person can acquire. Can the Principal Be Withdrawn? Anyone can withdraw from the principal on the certificate after a certain period of time. The money in the certificate is locked in and cannot be touched for the first two and a half years of its lifespan. After that period ends, the principal can be borrowed upon. Although it is useful, it may also cause the interest accrued to be reduced due to there being less principal in the certificate while maturing. The money may also be prematurely cashed in the event that a court of law asks for the money from it. It may also be withdrawn in the event of forfeiture through a pledge or under the direction of a Gazetted Officer. The money in full may also be cashed in the event of the death of the person that the certificate is for. A proper review and application will be required to ensure that whoever has possession of the deceased person’s certificate can get access to it. Two adults can jointly acquire a certificate if desired. A joint application must be provided to show that the two people getting the trust have applied for it properly. All applicants must be adults. They must also be full time residents of India. They can come from other countries but they must be legally seen as residents of India. Applicants can also apply for certificates in their own names. This would be done on behalf of a minor. The identity of that minor must be provided and listed in the application process with the certificate being redeemed by that minor. Trusts can also buy certificates but they must provide all legal documents on how they operate as trusts. However, any Hindu Undivided Family or NRI group will not be able to get a certificate. A PAN card must be provided for any investment of Rs. 50,000 or greater. This is to confirm the person’s identity for taking in the investment. Income data must be provided for investments of Rs. 10 lakh or higher. This is to show that a person has the money needed for getting such an investment ready without creating any financial hardship. This may also help with proving that one’s income is not coming from fraudulent or dangerous sources. Additional reviews may be used on one’s account or information before issuing any certificates. Part of this is to confirm that a person asking for such a certificate is not going to act in any negative manner. An identity slip will be included with a certificate through Kisan VIkas Patra. This includes information on whom the certificate is for, its purchase date and value, when it can be cashed and the signature of the postmaster. This information must be sent out and provided when it is come to actually get the cash that is guaranteed when the certificate matures. All certificates under the scheme can be transferred to others. This is useful in the event that someone else needs the money from the certificate more than another person does. A proper post office form must be filed and sent will all information relating to the parties that switch things out included. The income that comes from the certificate is taxable. There are no tax deductions involved when the money is received as it matures. This means that the money that is owed at the end of the certificate’s term will actually be released as it matures. Still, it is important to watch for how taxes may work when getting the income off of a certificate. The interest rate on the certificates is similar to what is offered on other similar investments. Participants will have to contact individual bands to see if other options have such rates. The tax rate for earned income through a certificate will vary based on what one gets out of it. It is critical to look at how the scheme works based on one’s tax schedule. A tax specialist may also be contacted to help with figuring out how the scheme works and if it is worthwhile based on one’s financial demands. When compared to typical fixed deposits offered by most banks around India, the lock-in period is rather long. It takes two and a half years before a person can take any money out of the deposit. In some cases the time period for other bank investments will not be anywhere near as long. Those who are looking for additional information on the Kisan Vikas Patra scheme can contact their local India Post office or any qualifying bank that offers certificates for added information. The details on the scheme should be clear but depending on the individual situation, it may help to contact a provider for additional help with getting the scheme to work for one’s general needs.